For the Philadelphia 76ers fans who’ve found a way to endure these last three tumultuous seasons without losing all hope, the upcoming 2016 NBA Draft is expected to be the answer to their prayers. Carrying the No. 1 overall pick for first since 1996, the feeling is that the time has finally come — or so those faithful to “The Process” would have you believe — for the Sixers to nab that franchise-altering player who’s capable of leading this organization to the promised land. Visit the City of Brotherly Love, talk to all those individuals who suffered through one tank-filled year after another and ask them how they feel about what’s about to go down with their Sixers, and we guarantee that this will be a general consensus: This is the pick that will change the fate of Philadelphia basketball for the foreseeable future; this is exciting stuff. Of course, when it’s all said and done, the 76ers pick that may end up being the one most talked about is the one the team doesn’t currently have — not yet, anyways. Anyone who follows the National Basketball Association knows that the Sixers, with a roster consisting of Joel Embiid, Nerlens Noel, and last year’s No. 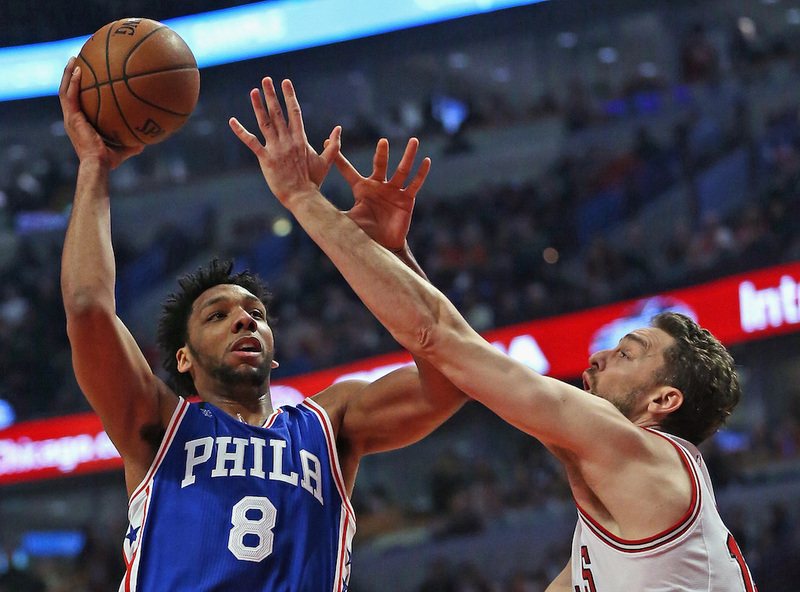 3 overall pick Jahlil Okafor, have a wealth of talent at the center position. However, unless you are under the impression that all three of these bigs can coexist (and we are not), then it’s safe to assume that at least one of these players will play elsewhere next season; something we believe is almost a forgone conclusion. This brings us to the pick that the Sixers currently don’t have — the No. 3 overall pick in the 2016 draft — and the one folks will talk about soon enough, when it makes its way to Philadelphia after the Sixers trade Okafor to the Boston Celtics. For the record, just so we’re clear, this exact trade scenario may not happen. However, based on team needs, compensation packages, and common sense, we think this is a slam-dunk play for both franchises. If I was Philadelphia, it would be done tomorrow. I don’t know if Boston would do it, but for Philadelphia, 100 percent. That would allow them to actually I think bring in another guard, an elite guard, whether that’s Kris Dunn or Jamal Murray, and suddenly now you’ve got a very, very bright future. I think that’s an easy call for the Sixers if Boston would do it. The Sixers have too many bigs and lack elite guard play, while the Celtics, with Isaiah Thomas, Marcus Smart, Avery Bradley, and Evan Turner, have loads of talent in the backcourt but desperately need a legit presence in the paint. Given the way we expect the 2016 draft to play out, Boston will either be forced into selecting another backcourt player or risk taking a flier on international prospect Dragan Bender. Considering how the level of talent drops off after the first two picks (presumably Ben Simmons and Brandon Ingram), neither of these scenarios would seem to be that enticing to the C’s. On the other hand, getting a player of Okafor’s caliber for essentially the No. 3 pick, well, that’s more like it. That’s the kind of move that can help Boston go from an exciting — albeit middle-of-the-road — 48-34 club to one with an even brighter future in the Eastern Conference and a lot more appeal come free agency this summer. Something tells us Danny Ainge would love that. 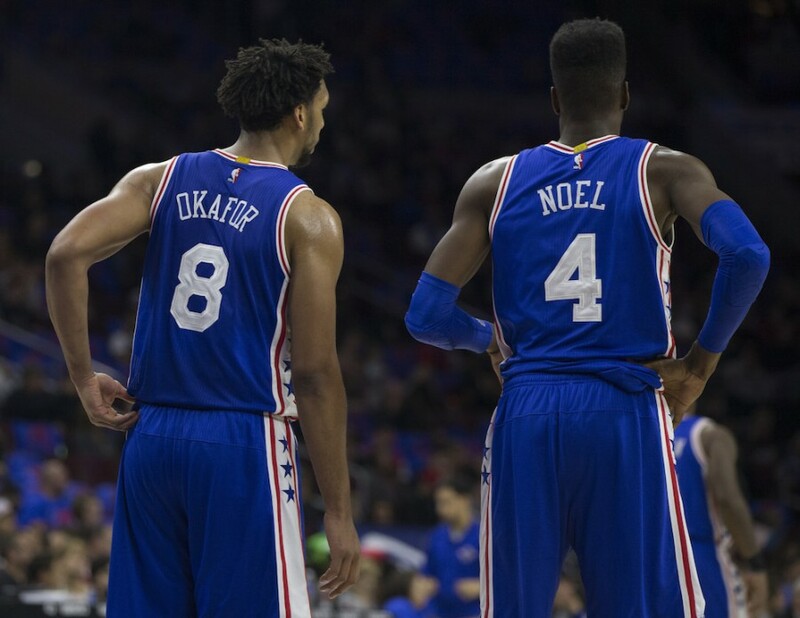 There is an argument to be made that the Sixers would be better off finding a trade partner for Noel and hanging onto to Okafor. After all, in his lone season in the league, Big Jah proved to be as offensively polished as advertised, finishing the year with averages of 17.5 points and 7.0 rebounds per game while earning First-Team All-Rookie honors. However, the way we see it, these figures only increase Okafor’s value as a trade asset. And we’re sure the rest of the league feels the same way. The Sixers are expecting Embiid to make his NBA debut in 2016–17, and therefore must decide which of their other bigs is best suited to play alongside him. Despite his vast offensive skill set, Okafor showed his limitations as a defender; the same cannot be said for Noel, whose athleticism and ability to disrupt an opponent’s offense is impossible to overlook. As the Sixers prepare to enter the next phase of their development, Noel may ultimately prove to be the better fit moving forward. While Philadelphia is poised to add an impact player with the No. 1 overall pick in the 2016 draft, the team faces a massive logjam at the center position. With this club desperately needing a top-tier point guard to run the offense, and the Boston Celtics finding themselves in the exact opposite predicament, it only makes sense that these two franchises will look to make a deal. There is a reason that the “Okafor to Boston in exchange for the No. 3 pick” scenario has become a popular opinion among many pundits — it’s a logical play for both organizations. 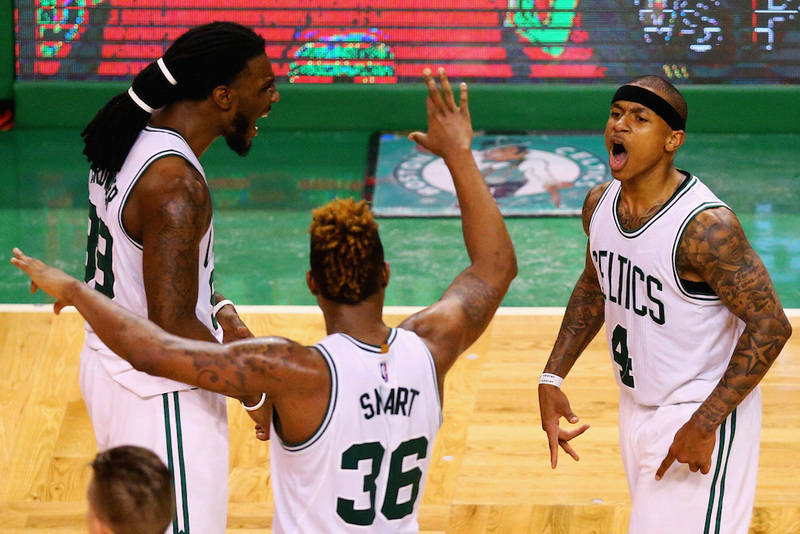 It’s not everyday that NBA teams find themselves in a “win-win” situation, and hopefully the Sixers and Celtics won’t let this opportunity pass them by. Statistics courtesy of Basketball-Reference.com, ESPN.com, and CSNPhilly.com.